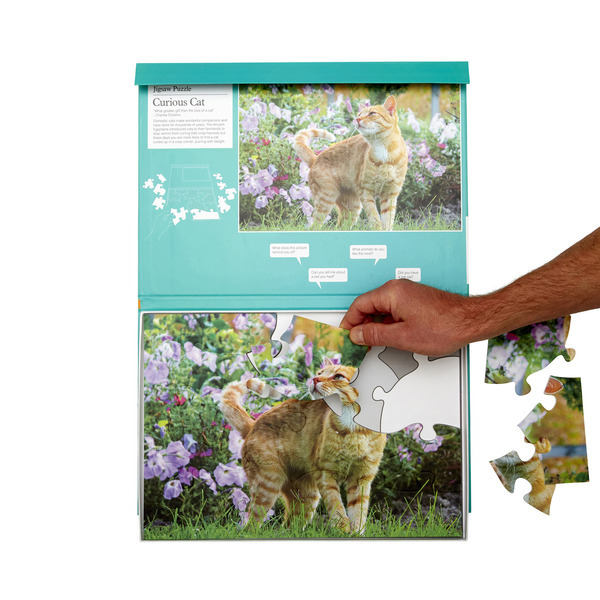 Domestic cats make wonderful companions and have done for thousands of years. 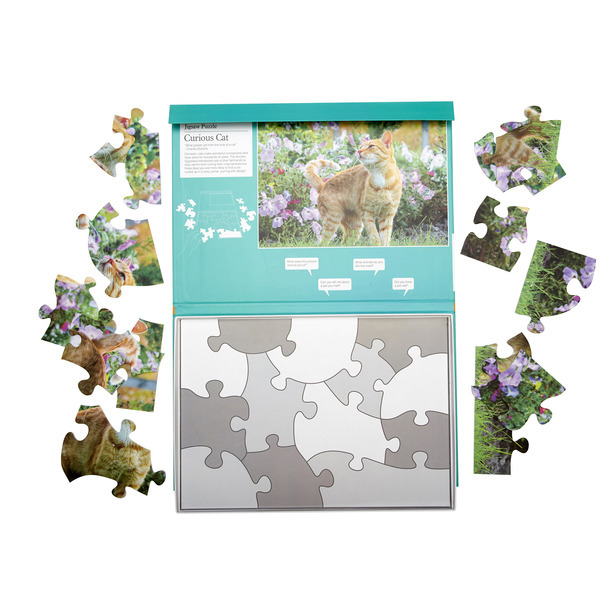 Their beauty, playfulness and appreciation for giving and receiving affection make them one of our most loved pets, which is sure to make this puzzle a much-loved puzzle for cat lovers. 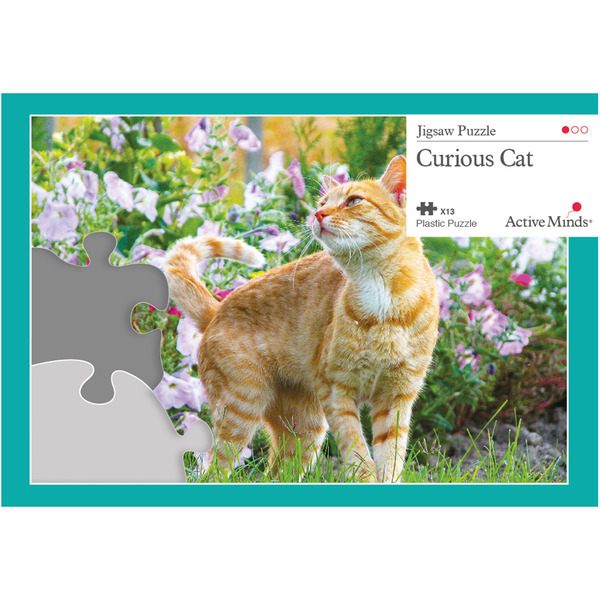 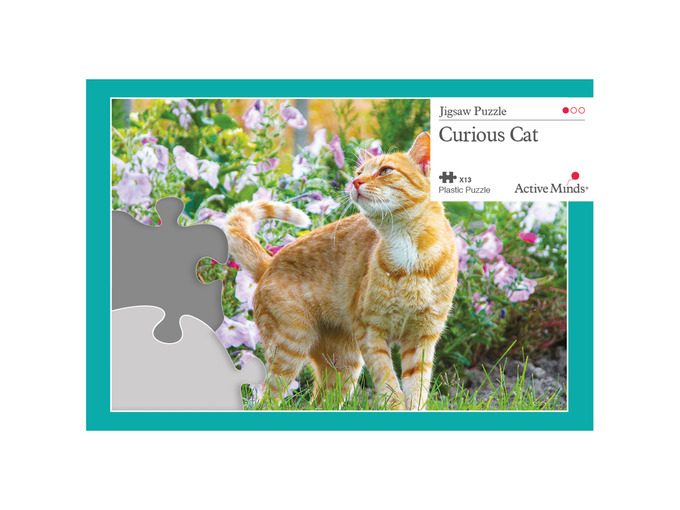 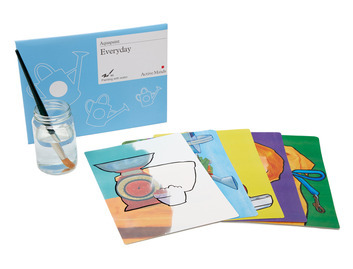 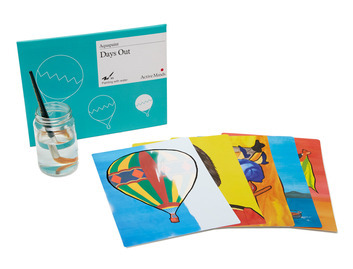 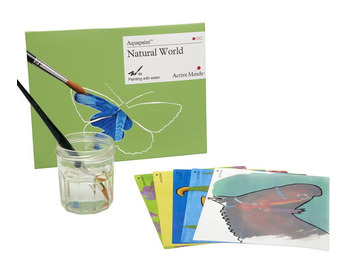 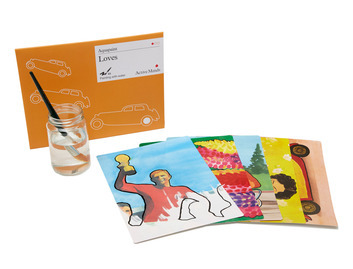 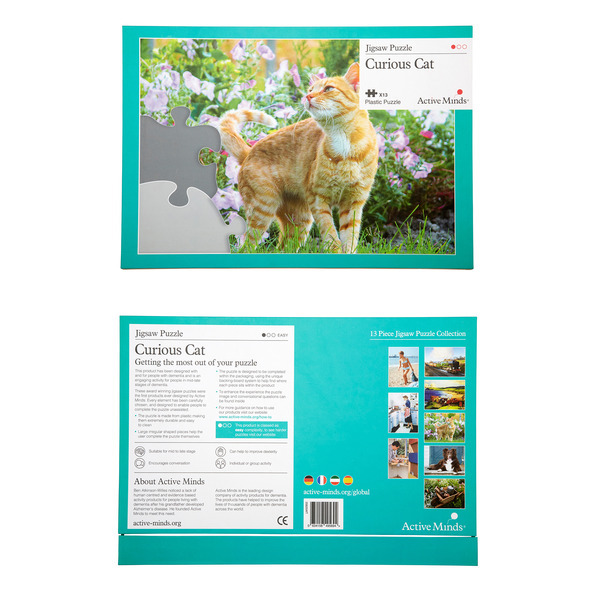 Our range of 13 piece puzzles has a selection of beautiful images and our 'Curious Cat' puzzle is no exception. 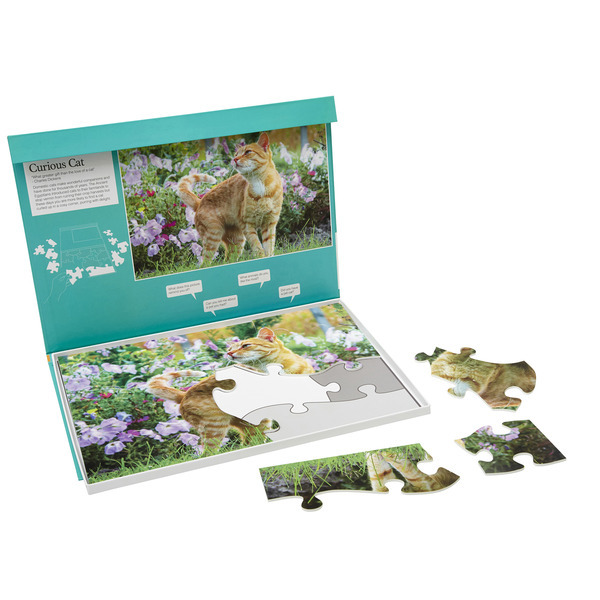 This illustration has been carefully chosen to stimulate memories and conversation once the puzzle is completed.